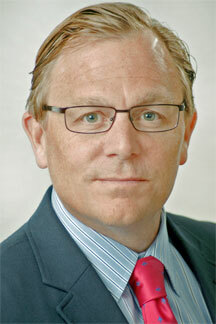 Skott Butler, President, Intelsat General Corporation (IGC). Skot Butler, President, Intelsat General Corp., writes that the technology Intelsat has brought to market with the firm's new Intelsat EpicNG high-throughput satellites is changing the way capabilities and services are delivered to their government customers. Unlike wide-beam satellites, these new HTS platforms use power-concentrated spot beams to deliver signals reaching small mobility terminals and allowing users to leverage satellite connectivity at higher data rates than ever before possible. This capability is driving the launch of a series of managed service offerings that will give government customers a much wider range of mobility service models from which to choose. These models are designed to allow users to pick the service best suited to their specific mission with a payment model that is the most cost-effective. The first of these offerings is called IntelsatOne Flex Air, a worldwide, in-flight connectivity service designed for a range of aircraft with high-performance requirements. 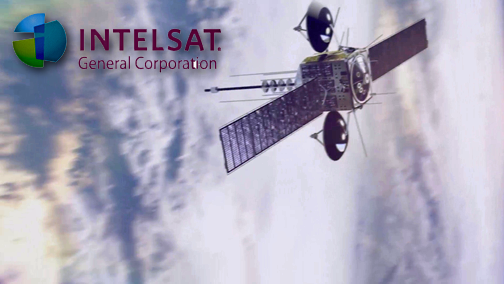 The service provides Ku-band coverage on a combination of Intelsat's high-throughput Intelsat EpicNG satellites and the company's traditional wide-beam spacecraft. The service is compatible with multiple types of fuselage and tail-mounted antennas on manned and unmanned aircraft. FlexAir Global will offer pay-as-you-go and monthly subscription plans at data rates of up to 10 Mbps to the aircraft and 3 Mbps from the airframe. FlexAir ISR provides high throughput committed information rates in 1 Mbps increments up to 6 Mbps from the aircraft with the ability to roam to and from the FlexAir Global network. IntelsatOne FlexAir provides government customers with a number of advantages over other managed networks. Customers can use existing Ku-band terminals on aircraft already in service, just by adding a modem — much simpler, cheaper and faster than switching out an antenna. 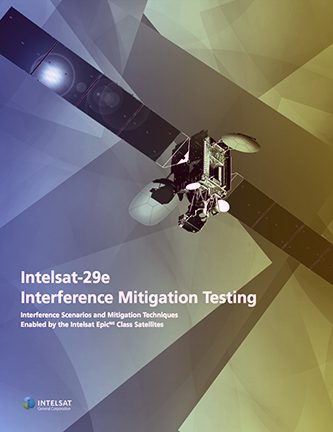 For new installations, users can choose from Intelsat's pre-approved antennas. IntelsatOne FlexAir service will debut later this summer through a number of certified resellers. Future service offerings will include a Flex platform designed for military and other government operations on land and in littoral waters, as well as managed services to support forest firefighting and seasonal disaster recovery operations. As the name implies, the IntelsatOne Flex platform will give users more flexibility in how they use the extensive capabilities of our high-throughput satellites combined with the company's widebeam satellites, while allowing customers to select the most cost-efficient payment model.